Almost 2 years after the consolidation in the copper mining industry was accelerated by the proposed merger of Lundin and Inmet, First Quantum is trying to take over Inmet to form a major copper producer. Inmet’s board rejected two earlier, lower bids, and is now facing a $5.1bn takover offer. The proposed Lundin-Inmet (Symterra) merger did not materialize because Equinox made a takeover bid for Lundin, after which Equinox was acquired by Barrick, which ‘won’ a bidding war with Minmetals. 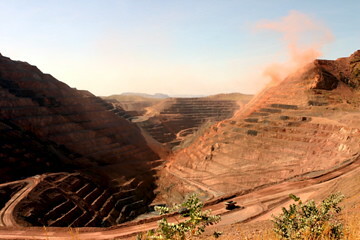 In attempts to get the Cobre Panama project funded Inmet earlier this year sold a stream with most of the planned precious metals production to royalty company Franco Nevada for an investment of approx. $1bn. The ruling ANC party has turned down a plan to nationalize the mining sector in the country. At the same time the party leaders do call for increased taxes to keep a larger part of the benefits from natural resource extraction in the country. No details on the tax increases have been given yet. The copper industry is in a phase of consolidation because many large development projects are in the hands of relatively small miners who don’t have the funds to develop the large projects on their own. With project pipelines being scrutinized in the light of slowing demand growth, large miners are searching for and buying those projects that are actually going to make it, and small miners with and without good development projects try to team up to combine operating assets with strong development projects. South Africa is already one of the countries with the highest effective tax rates to mining companies in the world, combining a 28% income tax rate with a 10% secondary tax, and adding mining royalties depending on the mineral mined. Further tax increases will make it very unlikely that foreign companies try to enter into the South African mining landscape, but will also make it more attractive for the large South African players to try to expand abroad.